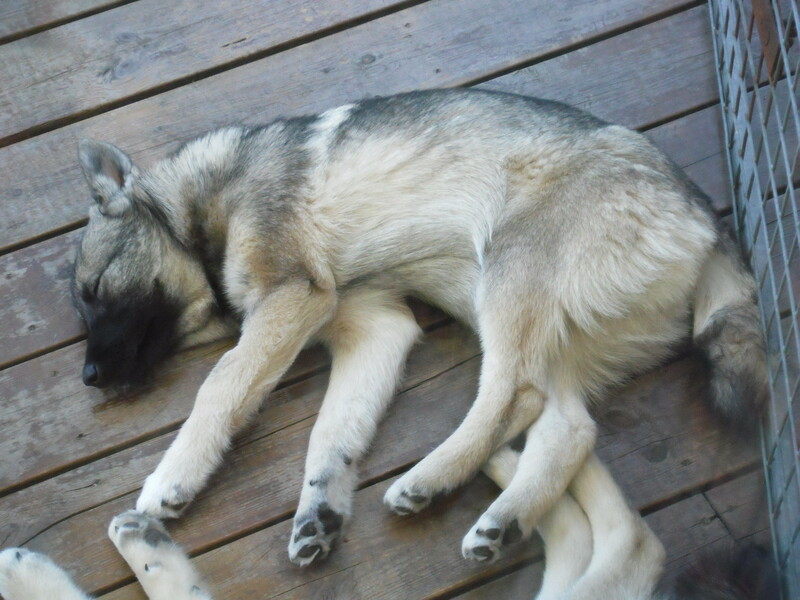 10th February 2011 – Ellen forwarded some new photos of Lady. 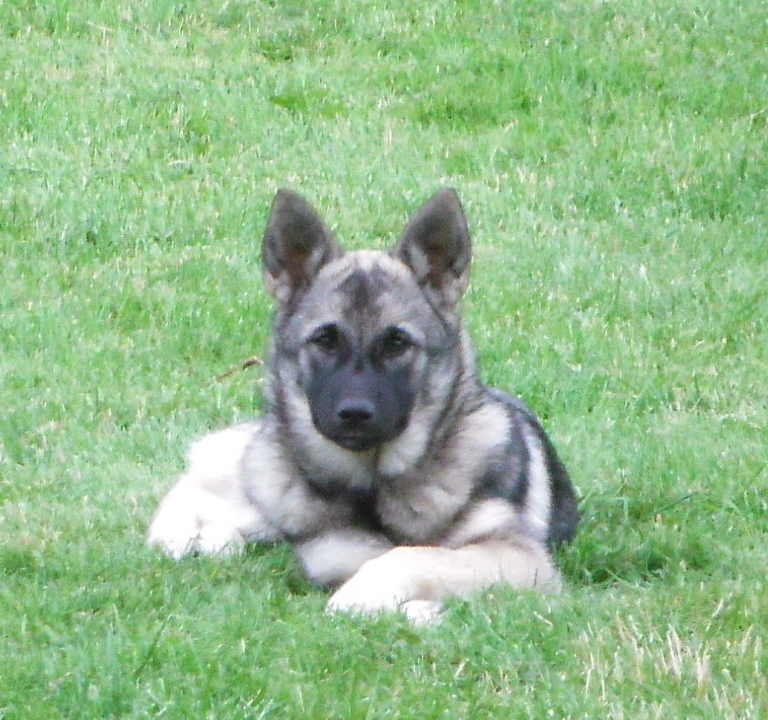 She’s beginning to mature nicely and, as Ellen said, her head is starting to broaden. 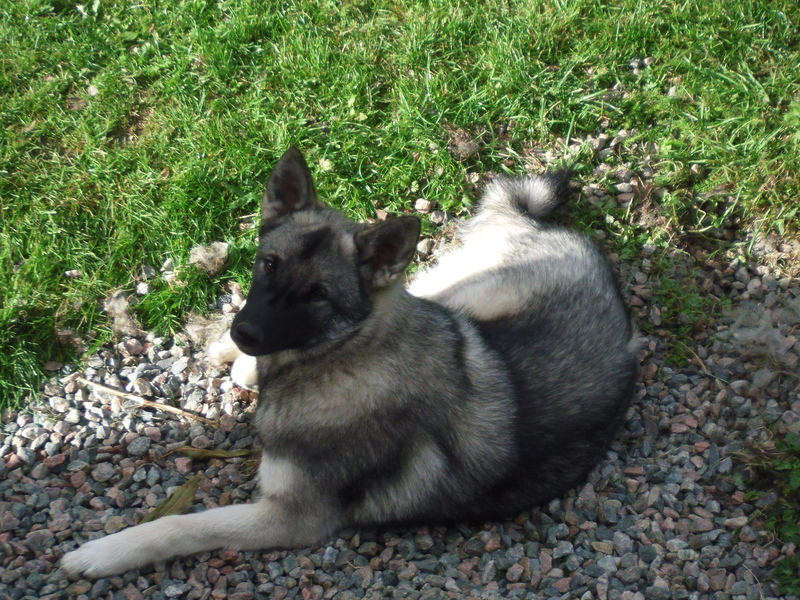 Ellen also said that Lady has really got her feet under the table and is thoroughly at home in Scotland. 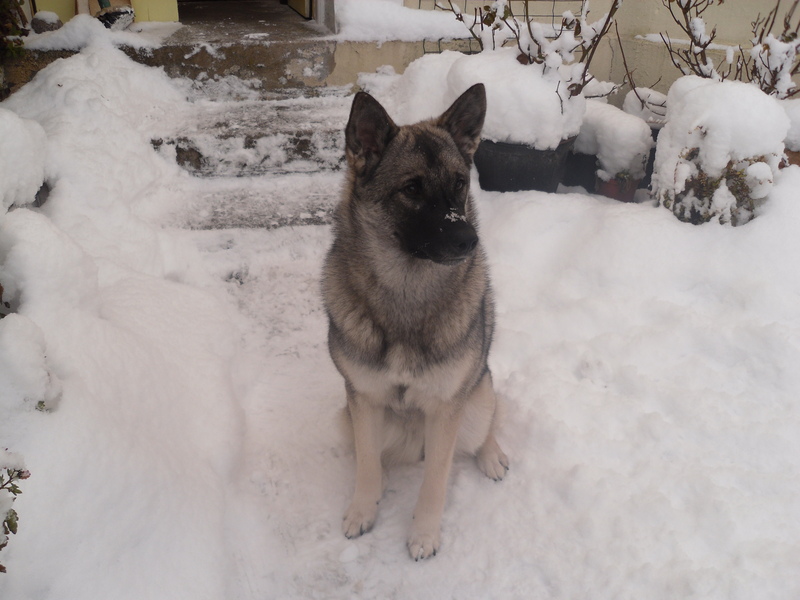 I was hoping to see her next month but it was not possible to arrange a trip to the UK at the right time. 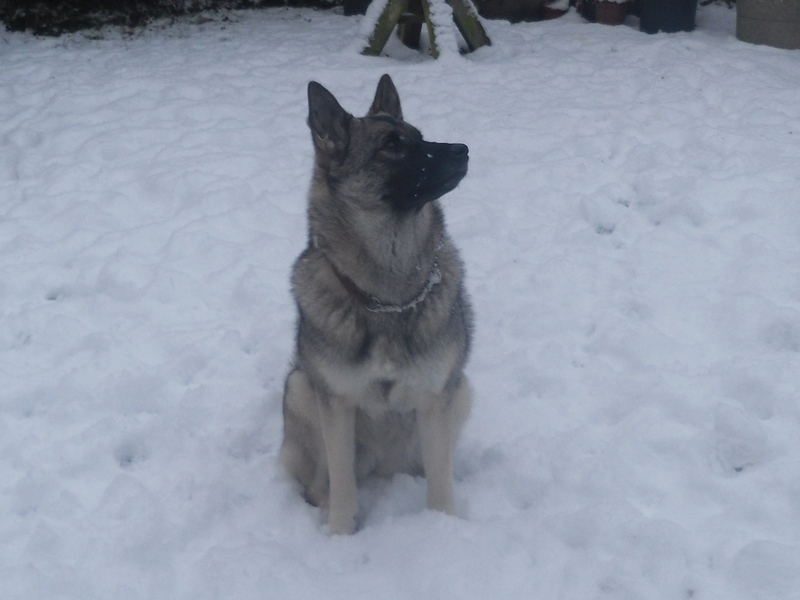 29th January 2011 – Have received some more pictures of Lady. 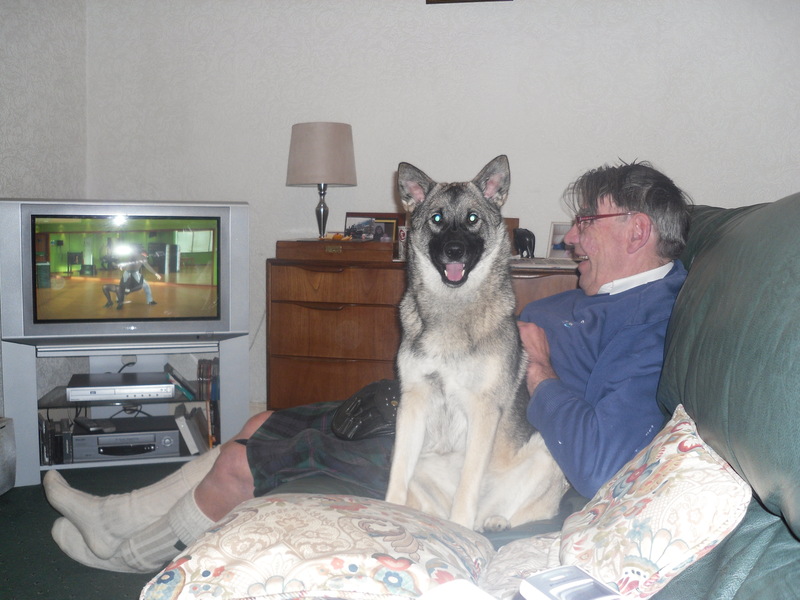 The first one was taken a couple of days after she moved into her new home sitting on the sofa with her new master, Hugh, who is wearing his kilt. Apparently Hugh was laughing at ‘Strictly Come Dancing’ on the TV. 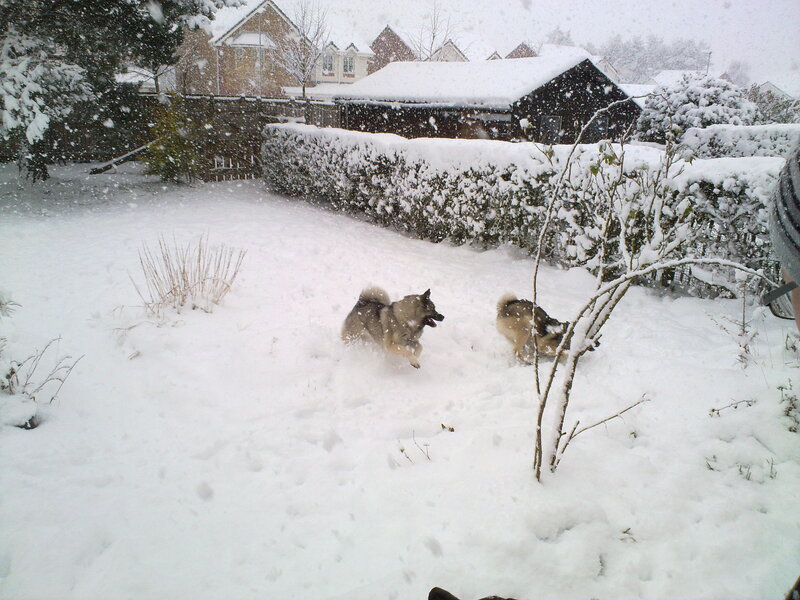 3rd January 2011 – Along with New Year wishes came some lovely photos of Lady and Kessu in the snow. 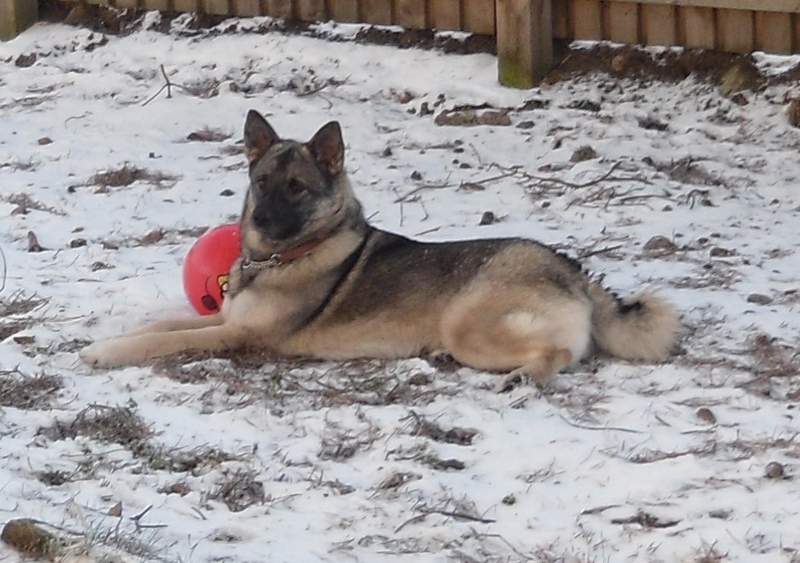 Lady loves playing chases or football with the red ball in the garden. 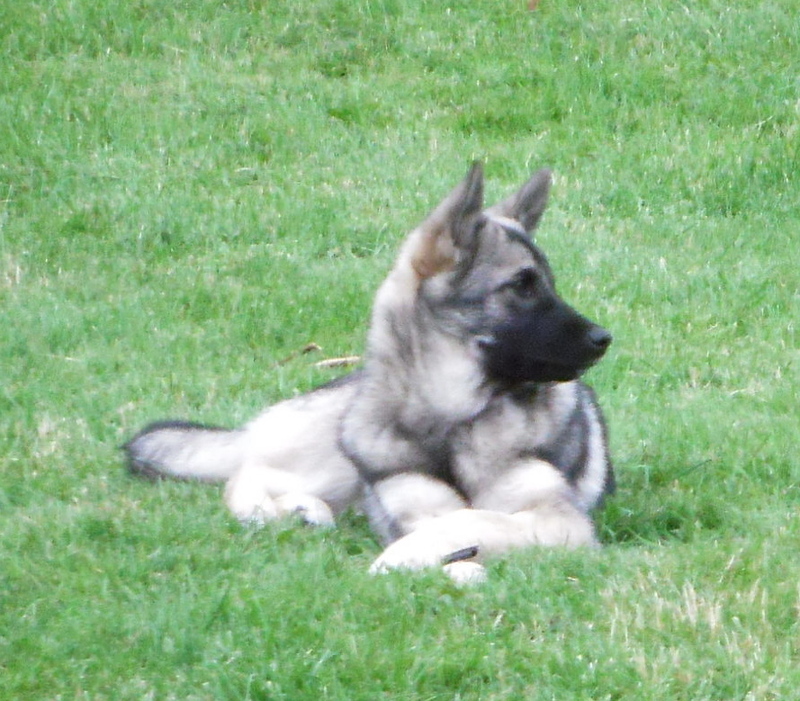 She is accepting new experiences very well and is a lovely companion. Hugh (Lady’s master) has had surgery and we wish him a speedy return to full health. 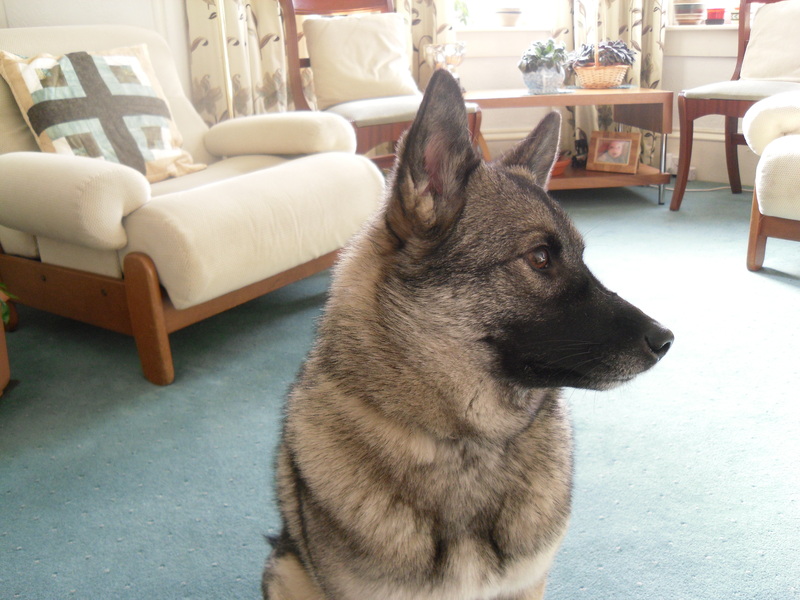 28th September 2010 – After a long journey from Sweden by road and ferry, Lady had her first walk in Harwich. She then travelled to Leicestershire where she was able to have some free running exercise which I think she really welcomed. The next morning she left for her journey to Scotland. Michael took her to the appointed meeting place where she met Ellen and her daughter Elaine. They took to each other straight away. 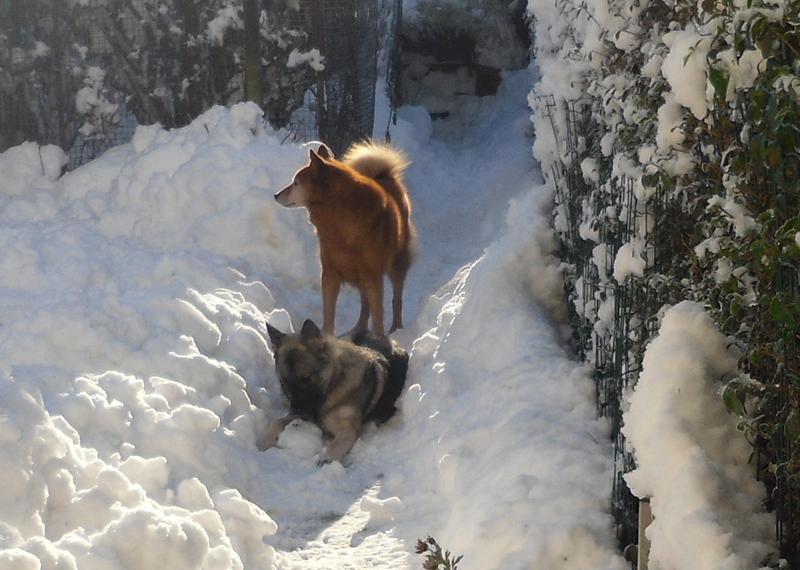 After a coffee and bun for the humans and time to chat, Lady undertook the final leg of her journey to Scotland where she was welcomed by Hugh and her new companion, Kessu, an elderly Finnish Spitz. 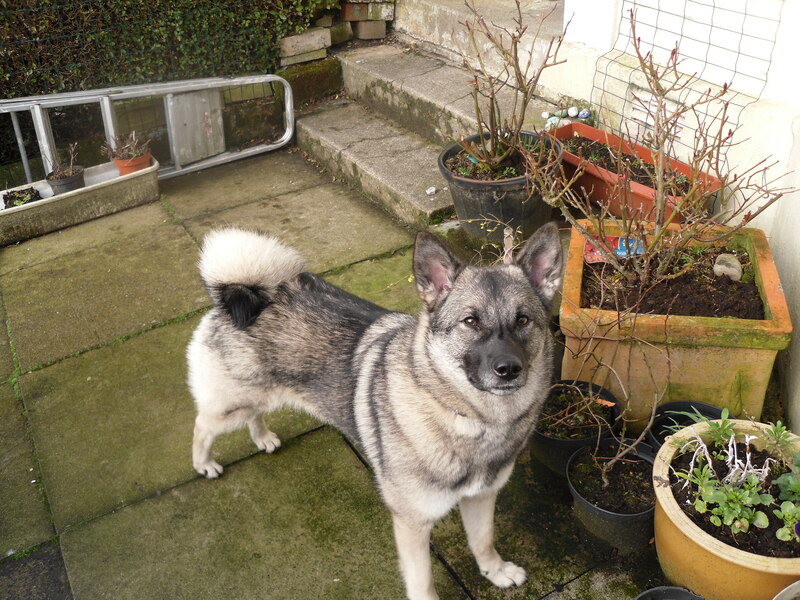 The next day she was taken a couple of doors down the road to meet the Norwegian Elkhound who’s barks had interested her. 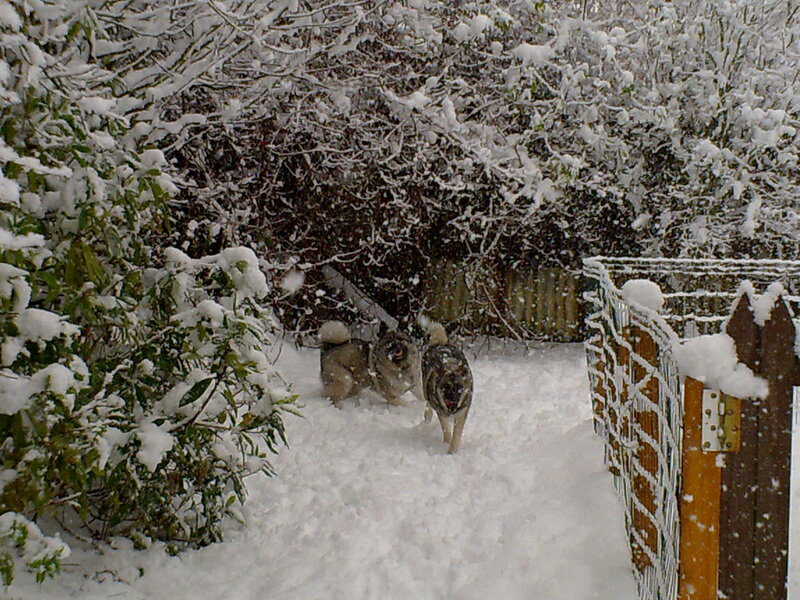 The two dogs immediately had great fun rushing around the garden in the snow and so Lady and Nyisha became friends too. 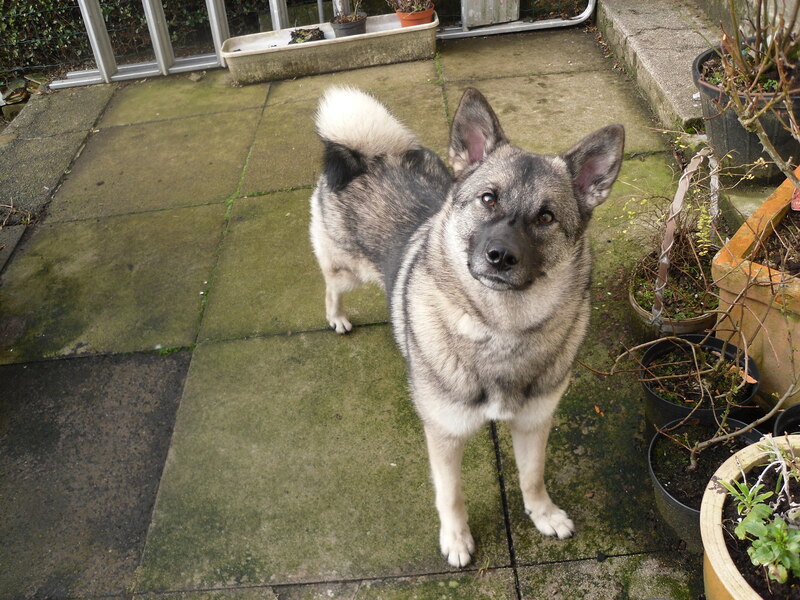 We wish Lady a very happy future in her new home and Ellen & Hugh happiness with their new companion. 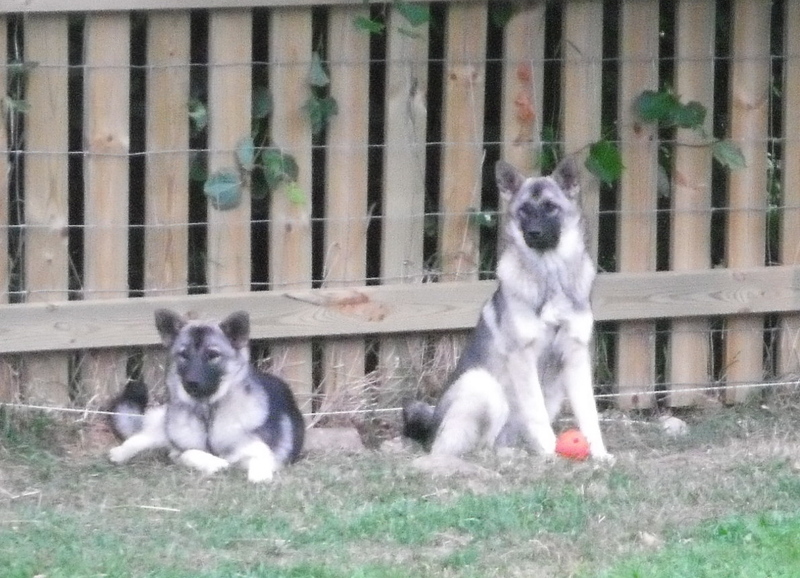 Below are some more pictures of Lady and Nyisha having a ball! 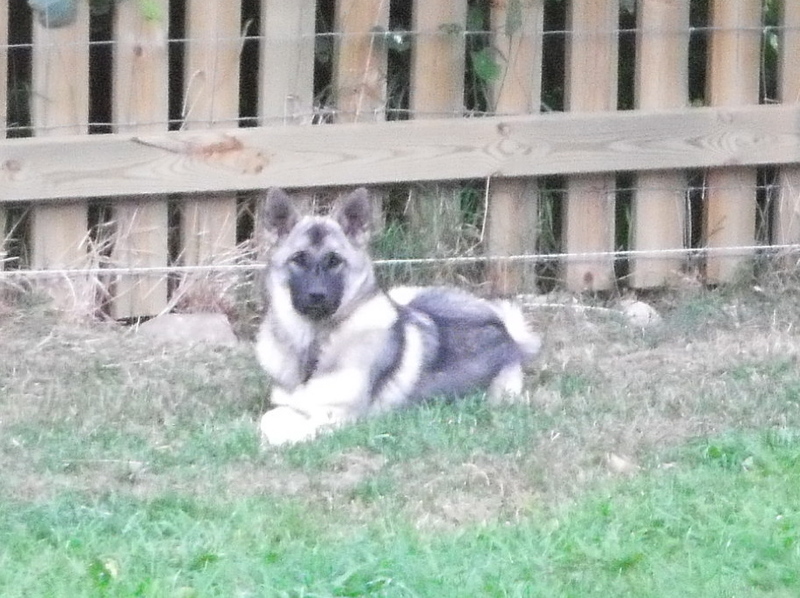 24th June 2010 – almost 5 months already! 5th June 2010 – A lazy sunny afternoon …..
25 April 2010 – My brothers, Lord and Odin, and sister Lussi were taken for a ride in the car this morning and this afternoon we were taken for a walk on a collar and lead – we soon got the hang of it!